Are you struggling with stress and anxiety? How these manifest in your body will be different for everyone, what is guaranteed is that they will be having a negative on your life and your health. Relationships or your work may suffer, you might be taking time off due to exhaustion or you may be suffering with mood swings. Managing stress and anxiety with EFT can have a positive effect on your life. Emotional Freedom Technique incorporates theories from holistic therapies such as acupressure, energy medicine and neuro-linguistic programming. Eastern medicine believes that there are channels of energy, called meridians, within the body. It is thought that when these meridians become blocked our energy becomes unbalanced. This then leads to physical and emotional symptoms. As well as affecting our health, emotional blocks can lead to limiting beliefs and behaviours including phobias, anxiety, depression or even addictions. EFT acknowledges this and combines energy medicine with psychological interventions for a truly holistic approach to health. In a similar way to acupuncture, EFT looks to release blocked energy by stimulating the meridian points. Rather than using needles however, this therapy uses simple tapping techniques. Negative emotions and illness are interlinked. Physical problems create emotional responses and emotional problems often manifest physical symptoms. EFT neutralises the effects of the negative emotion using gentle tapping. Picture a river. Mr and Mrs Beaver come along and build the most amazing dam, so good that it blocks the flow of the river. Upstream of the dam is a build up of water, downsream is now dry. Neither is ideal so the dam needs to be removed so the water flows freely as it should – and so it is with our energy system. The dam is the blocked emotion – the fear, the anxiety, the phobia or even the pain you are feeling. Tapping on the negative emotion (the dam) releases the fear, anxiety etc thus creating a sense of relief. The basic technique involves creating a set-up and then focusing on the concern (for example anxiety) while tapping on each meridian point. This is the basic method and there are other ways of assisting the client through more difficult problems. 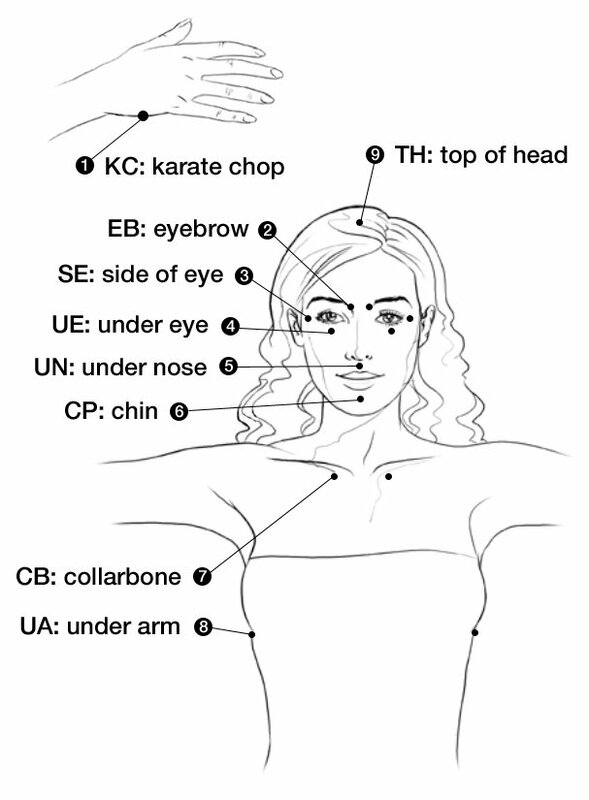 Some research on EFT and its effectiveness. Can Emotional Freedom Techniques (EFT) be effective in the treatment of emotional conditions? Results of a service evaluation in Sandwell. Journal of Psychological Therapies in Primary Care, 2, 71-84. Results: Thirty-nine clients gave consent, and 31 completed therapy. A total of 77% were female, and 80% were White British. The mean age was 45 years (range 18-76),and mean number of sessions attended was 5 (median 4; range 2-17). The main presenting conditions were anxiety, depression and anger and clients revealed up to 4 additional issues. Conclusion: significant improvements were shown. The results support the potential of EFT as a cost-effective treatment to reduce the burden of a range of physical and psychological disorders. Contact Helen on 07503461838 today for an informal chat to discuss your needs.